If we use the earth as a benchmark, we all live in palaces on a golden island. So we do not have to give much and hardly give up anything to make the world a different place for some people, somewhere. We are very happy to receive general donations or specific contributions towards scholarships for young people from poor socioeconomic backgrounds. Since the Swiss association works on a voluntary basis, the costs of the administration in Switzerland are extraordinarily low (less than 1% of total spending in 2017). Hence, your donations go directly to El Salvador, where they offer educational opportunities to marginalized children and youth. And education is often their best chance of finding a way out of poverty. You can also become a member of the Swiss support association or apply for voluntary service in El Salvador to become more actively involved in our work. Consciente is part of the long-term volunteering program of the Service Civil International (SCI). This enables us to welcome volunteers from all over the world who want to join our work on site. The amount of a scholarship in Swiss francs corresponds to the monthly amount paid out to the young people in US dollars. I speak Spanish (letters do not need to be translated). We are looking for sponsors who support young people from poor backgrounds during university studies or technical training! The department of Morazán where Consciente is active is not only one of the poorest in the country, but also the region with the fewest university graduates. For many young people in Morazán, studying at a university or undergoing technical training is their greatest and usually unattainable dream. Most families are too poor to bear the costs of further education. However, the region urgently needs well-trained young people that can bring about social change. Our scholarship program enables committed and talented young people from poor backgrounds to pursue university studies or technical training. In return for their financial support, the beneficiaries become involved in social projects in their communities and take part in our sustainability education program. Thanks to the generous support of countless sponsors in Switzerland and Germany, more than 100 young men and women have so far had the chance to begin the careers of their choice. 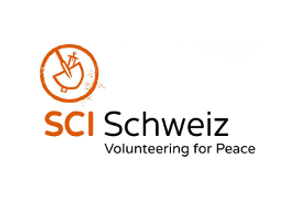 The cooperation with the Service Civil International (SCI Switzerland) enables us to welcome long-term volunteers from all over the world in El Salvador. 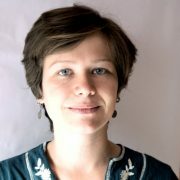 On the SCI’s Longterm Volunteering page you can find more information about volunteering at Consciente. SCI places volunteers with Consciente and offers other exciting opportunities all over the world, from two-week short-term to one-year long-term assignments. With the SCI you discover the world from another perspective and support social, ecological and cultural projects through voluntary work. Two of the international volunteers have written their own blog in which they talk about their experiences at Consciente, but also about their general impressions of El Salvador and its people. Please contact me if you would like to know more about volunteering at Consciente or about our cooperation with SCI. Membership can be limited to paying the annual membership fee or may include additional voluntary commitment to the association. Members are regularly informed about the project work and can decide about the activities of the association. I would like to receive the project reports only by e-mail.